India's Warren Buffet pledges his wealth for Philanthrophy. 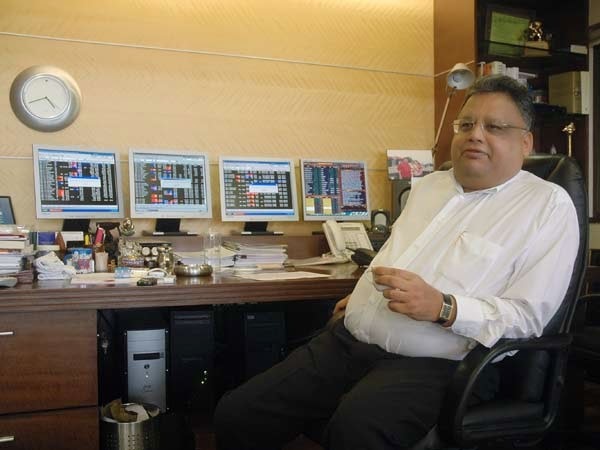 At an event organized by GiveIndia, Rakesh Jhunjhunwala, one of the most famous investor, has pledged to give away 25 percent of his wealth during his lifetime, reports Ahona Ghosh from ET. After Azim Premji, Shiv Nadar and GM Rao, he is the fourth one to make such oath of philanthropy in public. In the beginning of the year India's biggest philanthropist Azim Premji of Wipro, transferred nearly $ 2 billion of his wealth last December to an irrevocable trust that focuses on education and children's health and nutrition. Similarly Infrastructure-based GMR Group founder Grandhi Mallikarjuna Rao, 61, pledged $ 340 million in March, his 12.5 per cent personal stake in the business and one-eighth of his family's share, through an irrevocable endowment to the GMR Varalakshmi Foundation. In 2008 Forbes magazine had ranked him as 1,062 among the worlds richest with an estimated wealth of $1 billion. Although he built his initial fortune on stock trading, he is known today as a long-term investor. He is considered as India's Warren Buffet as he is one of the India's most famous investor. He is well known among the investing circles as 'Rocky' and among his close associates as 'Bhaiyya'. Much like Mr Warren Buffet, he buys into the business model of a company and for judging the longevity and growth potential, he gives top priority to 'competitive ability', 'scalability' and 'management quality' of the enterprise. Jhunjhunwala picks up large stakes in companies he thinks have a competitive advantage, ability to scale up, and good management. His multibaggers in the past decade reportedly include Karur Vysya Bank, Praj Industries, Crisil, Titan, HOEL, BEML and Bharat Electronics. He has huge plans of expansion and plans to hire professionals to manage his foundation.